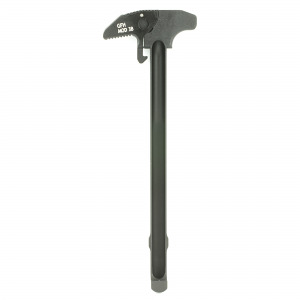 For comparison a USGI handle latch extended past the main body of the charging handle by approximately .85"
Optimizing the contours into a snag-free profile that facilitates immediate manipulation with an end user’s reaction side grip. 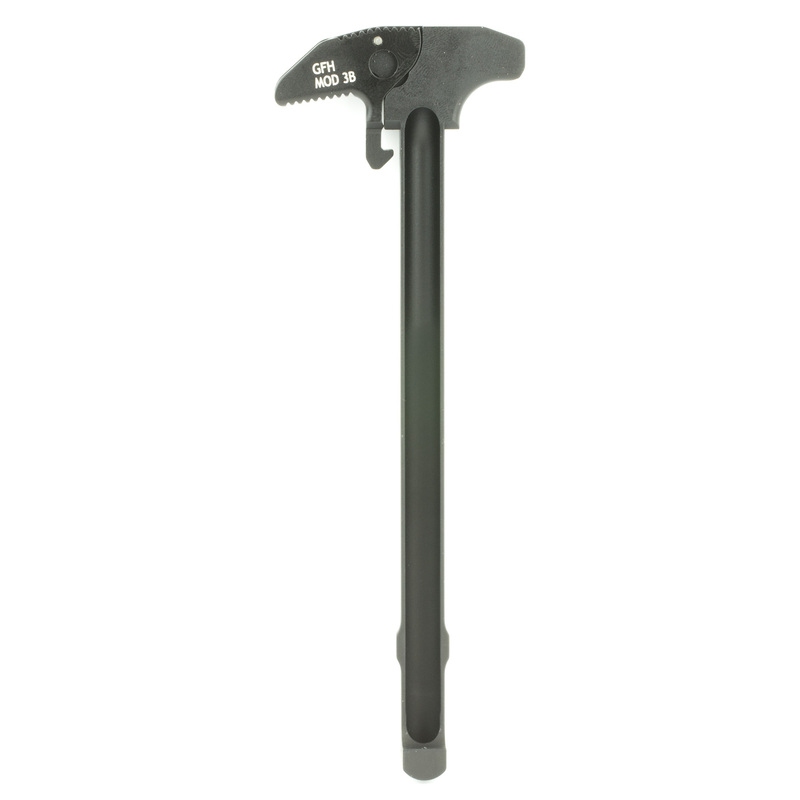 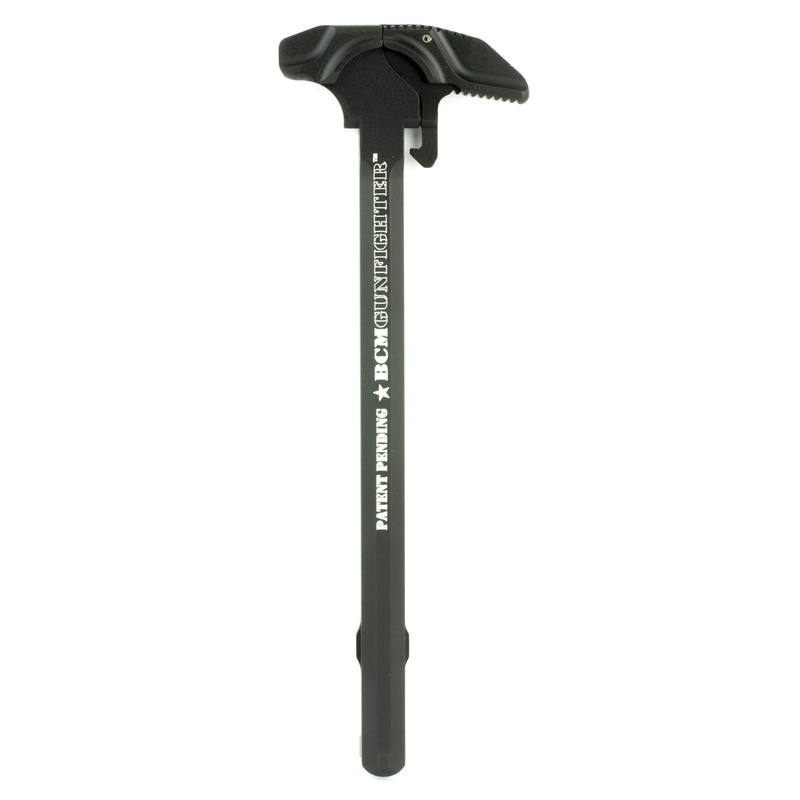 The range of BCMGUNFIGHTER™ Charging Handles is available with both ambidextrous and MIL-SPEC controls. 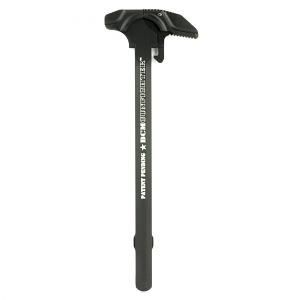 Redesigned to eliminate the load on the pivot pin (like USGI handle fitted with an extended latch) and keep the energy from charging close the centerline of the carbine/rifle, BCMGUNFIGHTER™ Charging Handles provides an larger uninterrupted engagement surface with a smaller silhouette.